With so many fad diets out there, and some with very little science to back them up, it can be difficult to discern what is right for you. Join NUNM’s nutrition program, as we take a look at popular diets and break down the science. Suzanne Loughry, Master of Science in Nutrition student, discusses the scientific benefits and potential concerns associated with the paleo diet. The essential premise of the Paleo Diet is simple: we’re better off eating what people ate before the Agricultural Revolution. The best food, according to this philosophy is simple, unprocessed, and what a hunter-gatherer would have eaten. 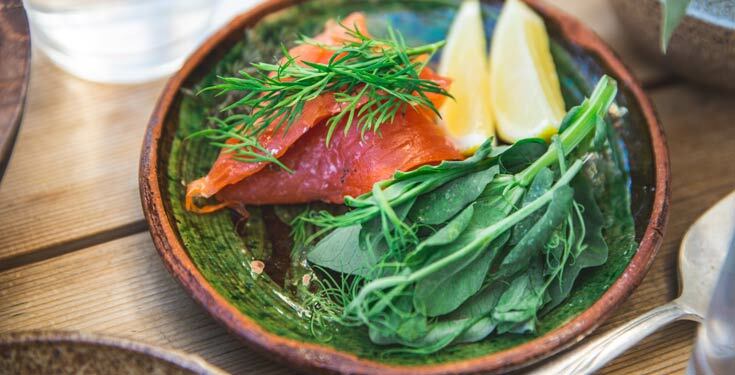 For most people, switching to a Paleo Diet will mean an increase in vegetable and fiber intakes, which are important for gastrointestinal health and overall inflammation levels. In addition to many anecdotal stories of people’s improved health and well-being, preliminary studies on the Paleo Diet have had positive results regarding blood glucose and cholesterol levels. However, since these studies have small sample sizes, more research needs to be done to understand Paleo as a diet and lifestyle recommendation. Is it Safe and Beneficial for Everyone? An unfortunately popular misconception of the Paleo Diet is that it means you just eat as much meat as you want, such as bacon. Emerging evidence indicates that eating primarily meat is not beneficial for long-term health outcomes for most individuals. Instead, the Paleo Diet emphasizes eating a wide variety of plenty of vegetables – which research shows is important for good health. Additionally, foods such as snack bars, which technically don’t have cane sugar, grains, or legumes but are still highly processed, do not truly fit in a non-processed, whole-food dietary pattern, regardless of the label. The Paleo Diet requires time and resources to buy fresh, local products and to prepare food at home, as well as the time and energy to be physically active. This can be a barrier. It is also nearly impossible for vegetarians or vegans to do well, as legumes are an important protein source for them. Our modern food is heavily processed, reliant on grains and sugars and modified fats. Most of the chronic health concerns that plague Americans today weren’t as problematic in the past. The Paleo Diet posits that our food may be contributing to these diseases. As with any significant dietary change, it is best to consult your doctor before diving into the Paleo Diet. If you have the desire and time to prepare your own food and to get physically active then a Paleolithic-type diet may work for you. Remember it is always important to work with your doctor and to pay attention to how your body responds. Whalen KA, Judd S, Mccullough ML, Flanders WD, Hartman TJ, Bostick RM. Paleolithic and Mediterranean Diet Pattern Scores Are Inversely Associated with All-Cause and Cause-Specific Mortality in Adults. J Nutr. 2017;147(4):612-620. Jönsson T, Granfeldt Y, Lindeberg S, Hallberg AC. Subjective satiety and other experiences of a Paleolithic diet compared to a diabetes diet in patients with type 2 diabetes. Nutr J. 2013;12:105. Jönsson T, Granfeldt Y, Ahrén B, et al. Beneficial effects of a Paleolithic diet on cardiovascular risk factors in type 2 diabetes: a randomized cross-over pilot study. Cardiovasc Diabetol. 2009;8:35. Pastore RL, Brooks JT, Carbone JW. Paleolithic nutrition improves plasma lipid concentrations of hypercholesterolemic adults to a greater extent than traditional heart-healthy dietary recommendations. Nutr Res. 2015;35(6):474-9. Manheimer EW, Van zuuren EJ, Fedorowicz Z, Pijl H. Paleolithic nutrition for metabolic syndrome: systematic review and meta-analysis. Am J Clin Nutr. 2015;102(4):922-32. Interested in nutrition? NUNM has several nutrition programs to choose from: online or on-campus Master of Science in Nutrition, a 3-year Accelerated Bachelor to Master of Science in Nutrition and a Bachelor of Science in Nutrition program. Sign up and request more information to learn more about your options!